I think they screwed up with those. I had a few as well with B's to start. I think the B=0 instead of 1 like it usually should 02/04. when did rawlings stop making their high end gloves in the usa? i have a pro-6 with a single dot (2001 by the dot system in top post) "made in usa" on rectangular rawlings patch and the circle R patch. no deer tanned lining this one is old fashioned leather but no way to tell if it is horween, i.e. no xxx01 designation. i thought they stopped usa production around 1998 or so? Should be. The black one with the basket web right? EXCELLENT point. I think they were pro shoppers that obviously came from Bob's shop. They have a different shape to them too. Does this one have the newer patch with the Oval R under the "Rawlings." Post pics and I can tell you more. I have some pics in that mass thread of them. I believe it is a USA PRO-204MT in the dark tan with black laces. I've seen a few of those. Definitely not store models, but a nice point to raise. ok here are a few pics. like i said circle R, made in usa on rectangular tag and on palm side, no deer tanned lining but a single dot and no month/year designation or leather type (i.e. no xxx01). what gives with this glove? 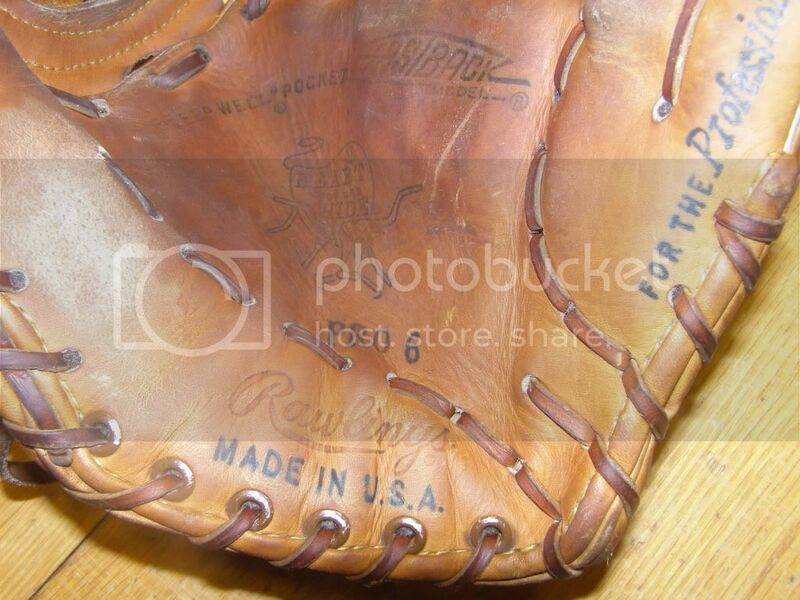 the single dot should be 2001 but i think rawlings stopped usa production in the late 1990's. help? I have two questions, one that was asked but I don't think it has been answered. The other is an odd four letter date code. 1. 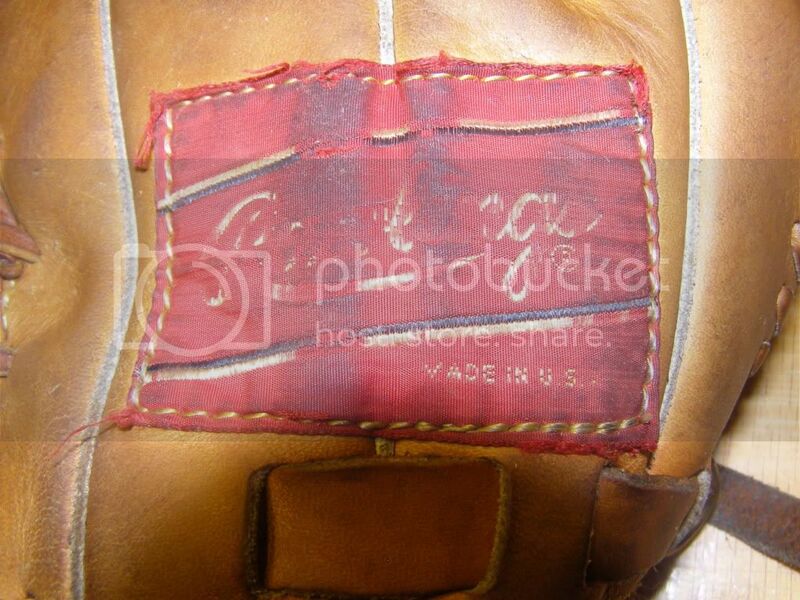 I have a made in the USA PRO-CMHCB2 First base mitt that does not have any letter date codes at all. 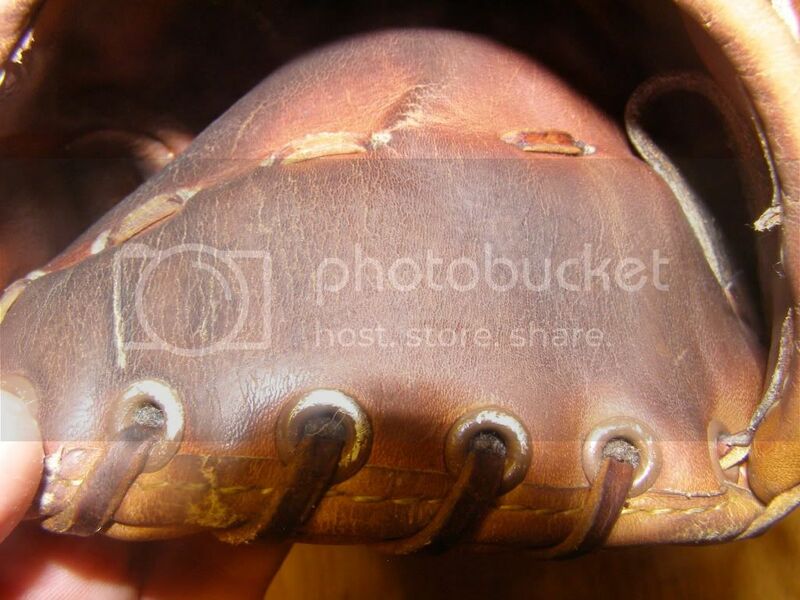 It does however have four dots under the "GOLD GLOVE SERIES" lettering on the thumb. When did Rawlings stop making these gloves in the USA and is it possible this could be pre-1999? This is a HOH Gold Glove Series Glove. 2. 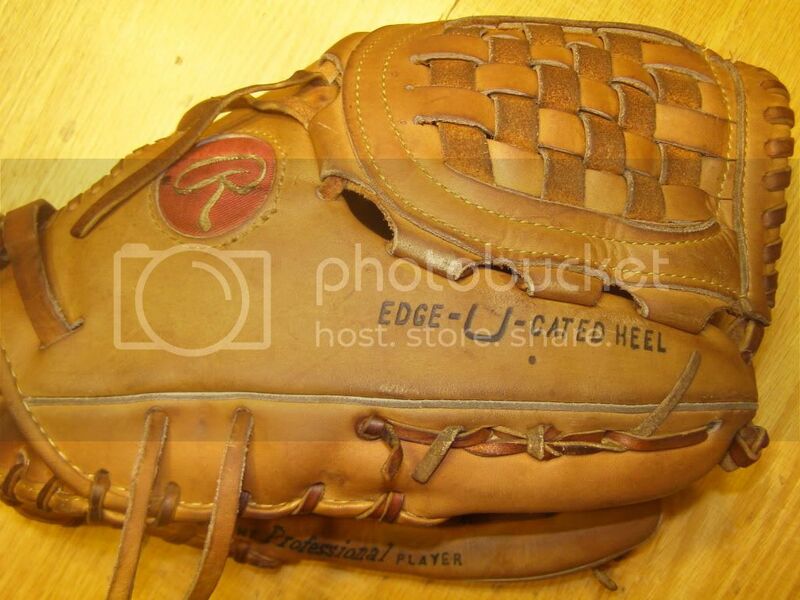 I have a Gold Glove series GGPSCM21B catchers mitt with the date code "LLBA" and yes it is correct. The glove was made in the Philippines. Any ideas about the code? Last edited by dadafan on Mon Sep 20, 2010 9:12 pm, edited 2 times in total. 1. Read the guide re: switch to dots in 98/99. How many dots are there? 2. 22/10 or 22/03, When did you buy the glove. Post a pic of the date code please and I will help you out. Thanks for the info. When did Rawlings stop producing these in the USA? About 98/99 they stopped mass USA production. Also can be found on here multiple times. The catchers mitt: Not positive, but I am going to say 22nd week of 2003. Puts you somewhere in May I believe? Not sure if the GG's follow the same date code as the HOH's and up. I know for 03, they botched the letter system where B=0 instead of B=1. The "TI" stands for Timberglaze. Thats the new darker tan we are seeing with the tan split leather welting as opposed to grey. Not sure who supplies it. Is a PROS17IC's (disregard colors) overall shape and feel more like a NP5 or a PRO200? Last edited by spedrunr on Tue Sep 06, 2011 3:01 pm, edited 1 time in total.